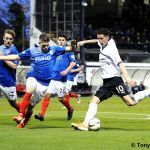 It was a close run thing, and more than a little nerve shredding at times, but Raith Rovers managed to take all three points for the first time since September this afternoon, coming back from a goal down, to eventually prevail over Cowdenbeath by two goals to one. 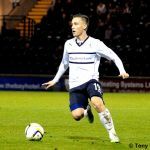 Raith went into the match unchanged from last weekend’s stoic performance against Hearts, but their opponents had to make a change before the match even began, when Jon Robertson picked up an injury in the warm up. It was an incident that was very much a precursor to what was to come for the Central Park outfit. The pre-match coin toss was presumably lost by Raith captain Paul Watson, as the team’s swapped positions, meaning Raith were shooting towards the South Stand in the first-half, a scenario that is generally seen as a bad omen by the home support. The opening period could politely have been described as something of a slow burner, with little of consequence occurring in either penalty area. Kevin Moon was seeing a lot of the ball in midfield, and he managed to find Grant Anderson with a pass in the opening few minutes, but with no-one inside the area, his cross was wasted. 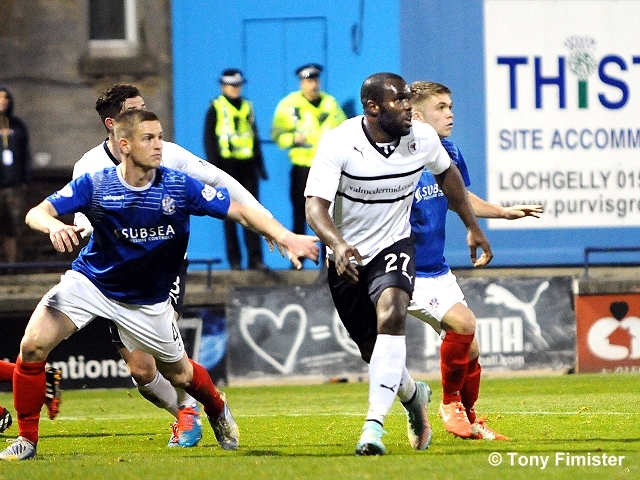 A few moments later, Jason Thomson whipped in a cross from the same right-wing area as Anderson had appeared earlier, but his pass deflected off of Kudus Oyenuga, and was stopped by Cowden goalkeeper, Robbie Thomson. 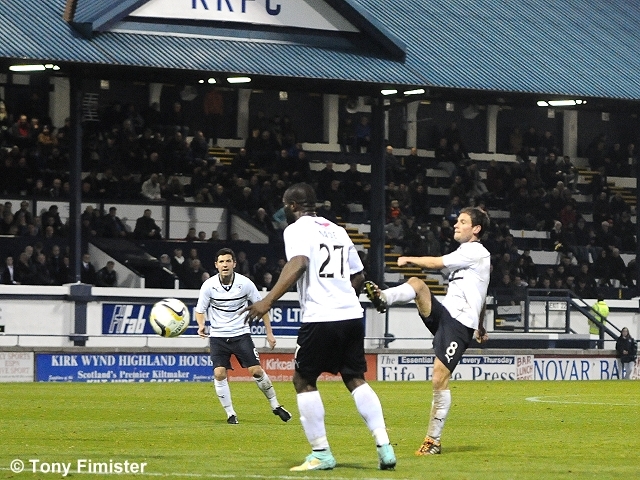 Raith’s right-back provided another moment of excitement after quarter-of-an-hour. Calum Elliot back-heeled the ball to him by the corner flag, and he advanced into the area from an angle, much like the move which provided Scotland with their winner against Ireland the previous evening. 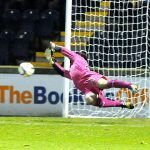 Unfortunately for Rovers however, the similarities ended there, as his driven effort ended up over the bar. It was a rare moment of drama in a game that was stop-start, with the emphasis seemingly more on stop. Indeed, after half-an-hour, the encounter had seen more substitutions than shots at goal, after Jimmy Nicholl was forced into making two changes due to injury. 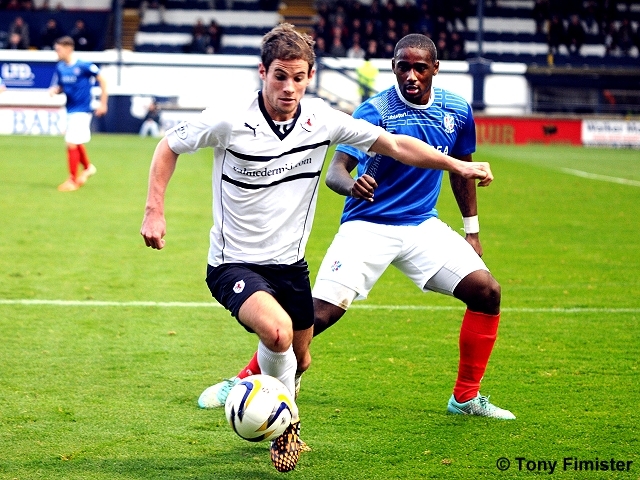 First, Craig Sutherland replaced Calum Gallagher, then Dean Brett hobbled off, with Ian Campbell taking his place. 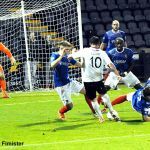 Rather than hamper the away side’s chances, it almost seemed to give them a lift, as they started to create openings for the first time in the match. A ball from the left-hand-side by Thomas O’Brien found Sutherland unmarked at the back-post, but after deciding against taking a touch, he blasted over the bar from an acute angle, despite having time to bring it down. The opener wasn’t long in coming however, and in the 35th minute, the away side went in front. 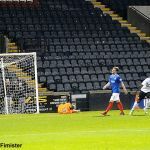 Wedderburn beat Elliot to a ball in the air, allowing Sutherland to pick up possession and advance to the edge of the box. 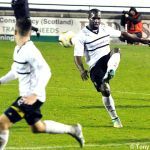 His pass to the left found Kudus Oyenuga on the edge of the area, and he swept the ball past McGurn and into the corner, with an excellent finish. 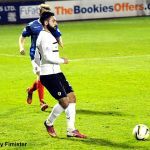 The on-loan Dundee United forward was proving to be a handful, and he almost helped to make it 2-0 a few minutes later, when he danced into the penalty area and squared it to Lewis Milne, but his effort was blocked from close range. 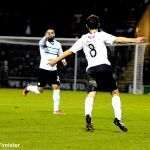 Rovers had created little of note in the first-half, and the combination of Elliot and Scott was failing to spark into life. The former was working hard but was clearly a frustrated man as little was coming off for him. 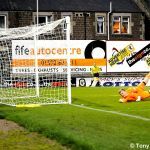 He was presented with an opporunity in the final minute of the half, when a low free-kick was slid into his feet, but from eight-yards-out, he mishit his shot and the chance was gone, in a moment that pretty much summed up how the half had gone from Raith’s perspective. 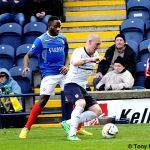 Despite Raith’s lack of cutting edge, there were no changes at half-time, although Cowdenbeath were forced into making their third and final sub at half-time, when Sutherland was replaced by Chris Kane. The second period began with Rovers in the ascendency, but their chances were all very much of the half variety. 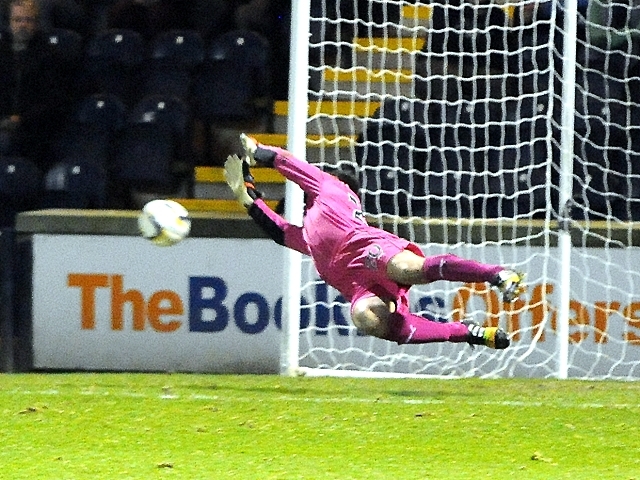 Elliot saw his deflected effort theatrically tipped over by Thomson, while the forward almost managed to get on the end of a good cross by Anderson. 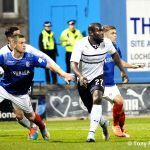 With the home side struggling to create anything clear-cut, it was no surprise when Grant Murray decided to change things up, and he replaced Martin Scott with Christian Nade, with the former Hearts and Dundee man taking up a more advanced position than Scott had assumed. 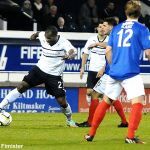 The alteration didn’t produce any immediate change in the Kirkcaldy club’s fortunes though, as Cowdenbeath went close to doubling their lead in the 55th minute. 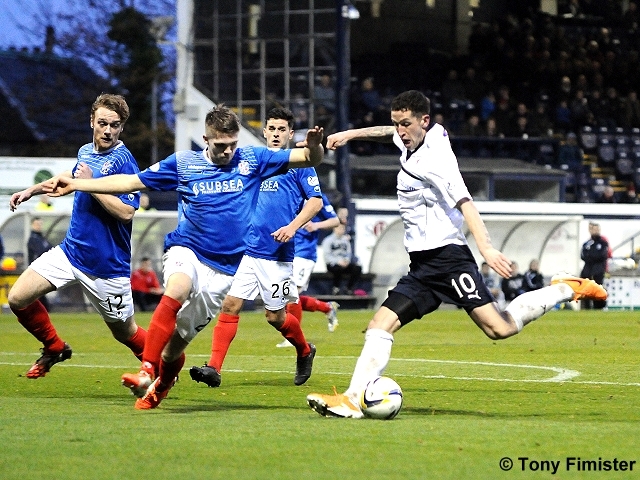 Sean Higgins and Lewis Milne exchanged passes, allowing the ex-Falkirk striker to shoot from the edge of the area, but the ball took a slight bobble as it reached him, impeding his finish, and his sidefoot effort ventured skyward. Nadé was then booked for an incident off the ball on the halfway line, but in the 57th minute, parity was restored with another well taken finish. A deep free-kick to the back-post was cleared to the edge of the box, but Kevin Moon met it well, sending a firm shot past Thomson and into the corner of the net. 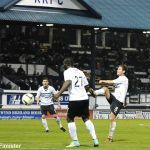 The same deep free-kick routine almost put Rovers 2-1 up a few minutes later, when the header back across the area was cleared from under his own bar by Marcus Fraser. 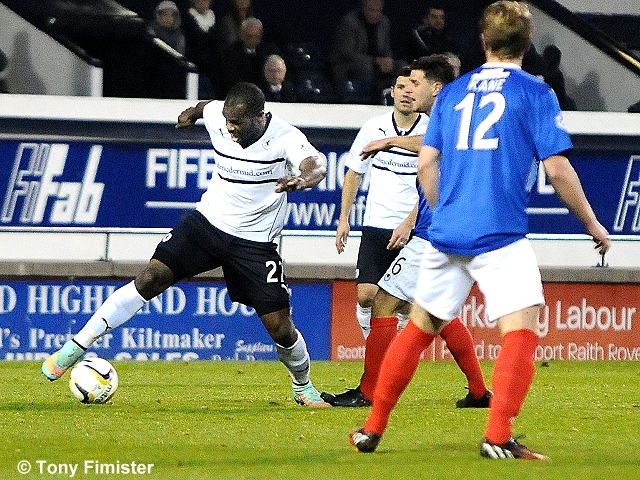 The substitution had certainly helped Raith, with the ball finally starting to stick up front, thanks to Nadé’s close control, which he allies with an ability to bring others into play. 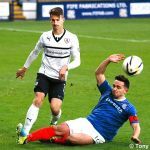 The game had started to become more stretched, and while Raith weren’t dominating proceedings, they were at last starting to ask questions of the Cowdenbeath defence, although McGurn had to look alert to gather a Milne shot into his body. 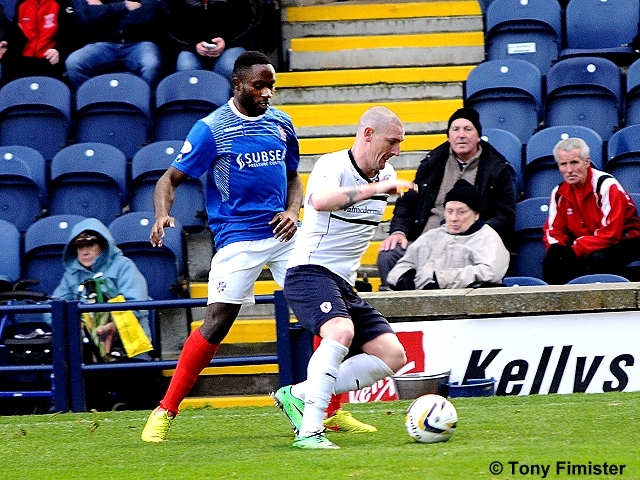 With 20 minutes remaining however, Raith got their noses in front. 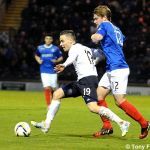 Barry McKay picked up the ball in midfield, and he did well to advance deep into Cowdenbeath territory, before playing the ball out to Elliot. His cross into the six-yard-box was a good one, finding Nadé who had got beyond his marker, to finish with aplomb from close range. Cowdenbeath almost fashioned an equaliser five minutes later, when a Thomas O’Brien shot from the edge of the box rebounded off the post and clear, and while Raith may have ridden their luck at that point, they managed to see out the game reasonably comfortably. 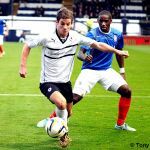 Cowdenbeath saw plenty of the ball in those final ten minutes, but McGurn was rarely tested, as Rovers chalked up their first league win over Cowdenbeath at Stark’s Park since 2011. It also potentially puts to bed, the theory that shooting into the South Stand in the first half is a sure-fire sign of defeat. 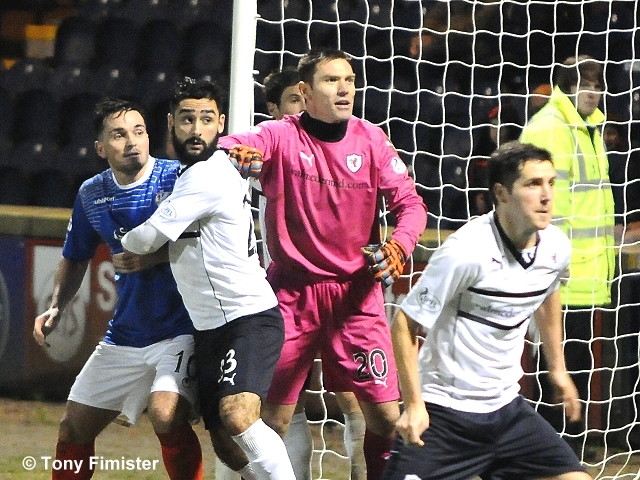 The victory keeps Raith in fifth place, but moved them closer to both Queen of the South and Hibernian, who could only draw 0-0 at Easter Road. 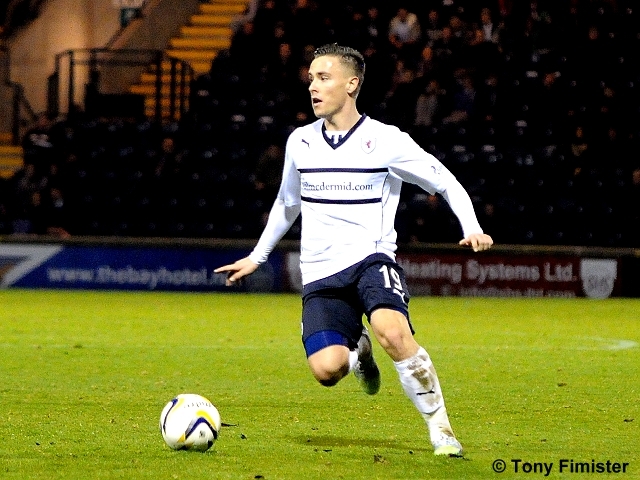 Raith will be looking to close the gap even further, when they journey to Dumfries next week, to take on the Doonhamers. Welcome to Starks Park, first home Fife derby of the season. Rovers unchanged. Perry and Gallagher in a clash of heads. Both make their way off and appear ok. Both players back on. Cowden just had the first corner. It's more of a 4-4-2 as Jimmy Scott is up alongside Elliot. Corner. McKay takes, Watson leaps and misses his header, claims he was impeded. Anderson sandwiched at the edge of the box. 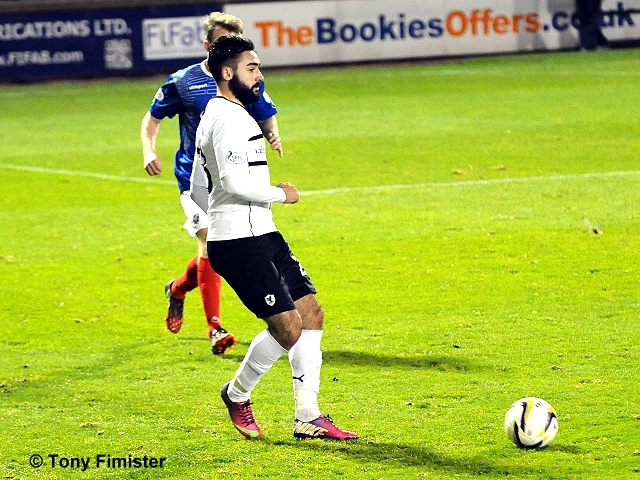 McKay takes the free kick and it's a glorious chance for Elliot but his shot is tame. 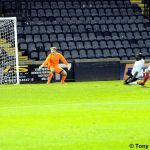 Oyenuga skips into the box, Watson is at hand to clear. Moon frees Elliot in the box, his shot is tipped wide by Thomson. 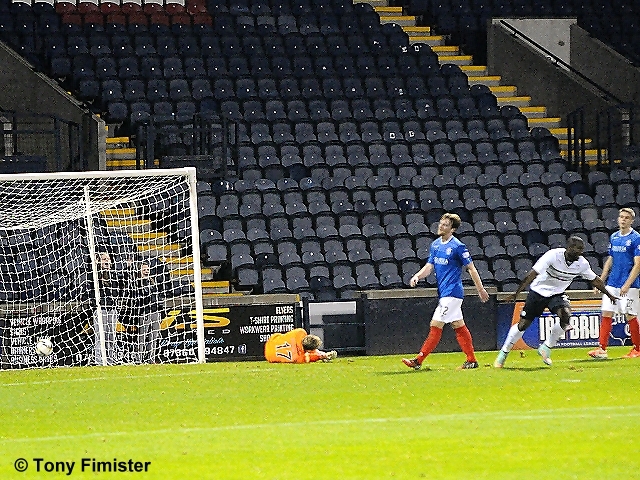 Milne fires the ball into the box which is devoid of team mates. Elliot slips back and Nade playing as the front man. Higgins has a shot from outside the area and shoots over. Nade yellow for a foul. After the ball pinged around the box from a free kick, Moon fires in low from 25 yards. 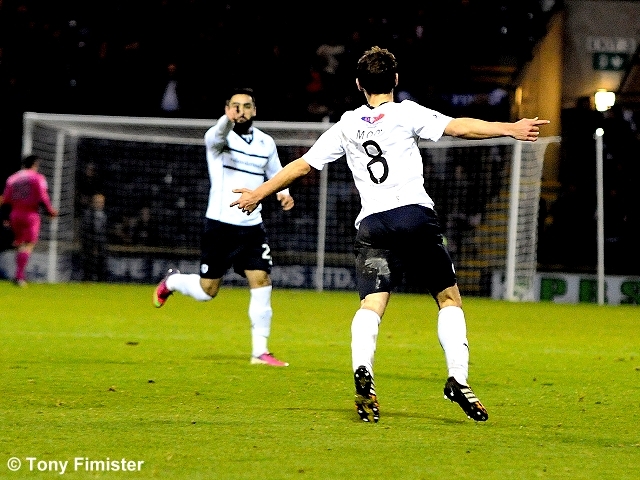 GOAL ROVERS. 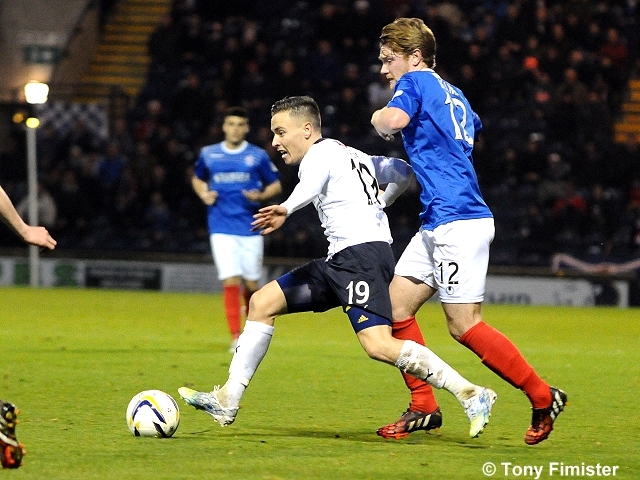 McKay running through the middle troubled the Cowdenbeath defence. Rovers pressing, two corners on the spin. 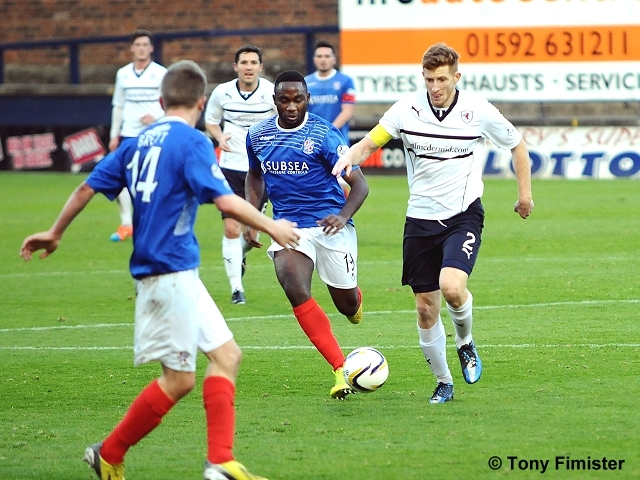 Oyenuga beats offside, Thomson is on station to usher him clear. Miller latches on to a loose ball, the Witch dives low to his left to gather. Anderson running out of steam, he keeps the ball on a 20 yard run but fluffed his cross into the box. 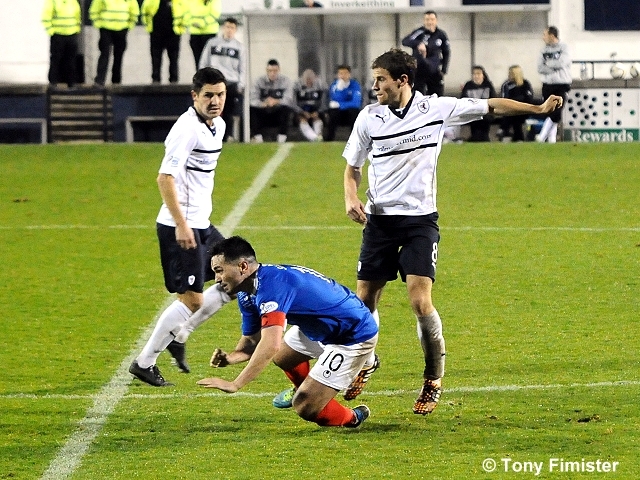 Watson slips in the box but recovered to deny Higgins. 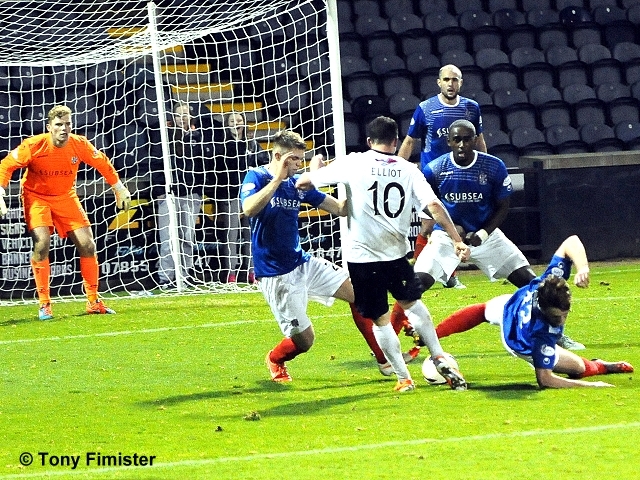 Oyenuga and Higgins combine the latter denied by Perry. Nade fires in from 15 yards. 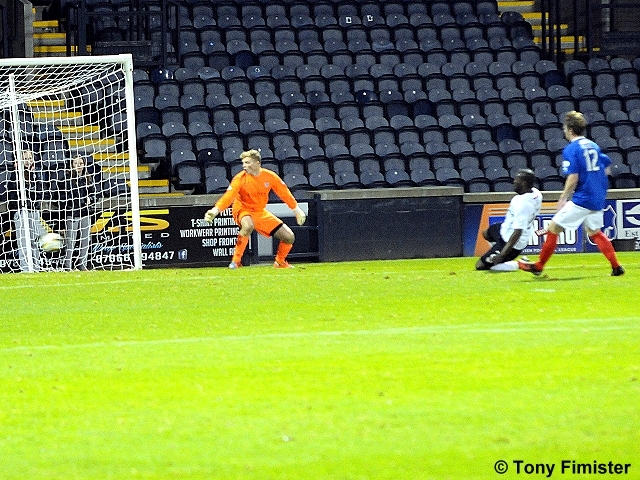 GOAL ROVERS. The Kirkcaldy and Middlesbrough chapter of Fifes Finest burst into song. 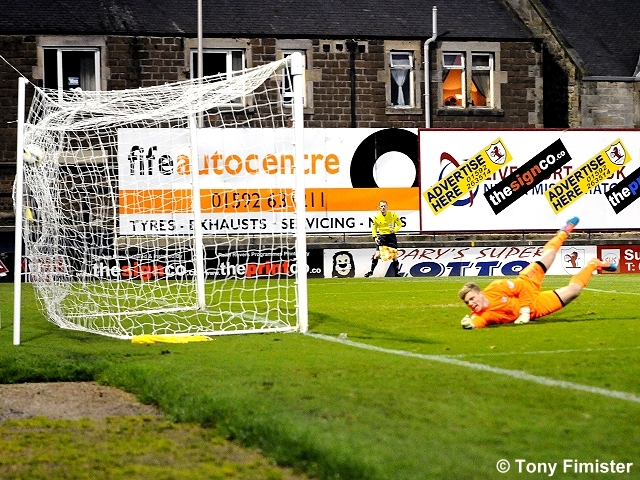 A stramash in the box, Rovers shout for hand ball but are denied. O'Brien free in the box hits the post with a shot from 15 yards. 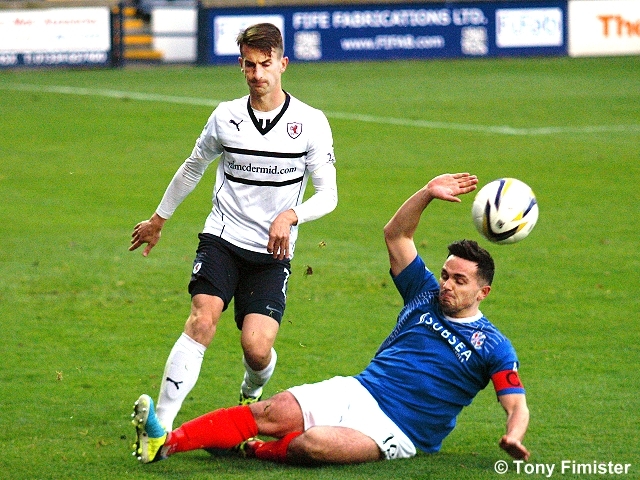 Cowdenbeath are trying to ge back into the game. Higgins takes an era to take a free kick but the wait wasn't worth it, the ball sailing way over the bar. 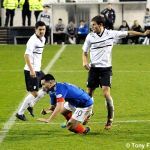 McGurn single handedly punches clear a dangerous Cowdenbeath corner. Nade lays off to Anderson who sclaffs his shot into the North Stand. A much improved second half, Fox and Moon will be mentioned in despatches. RRFC: McGurn Thomson Perry Watson McKeown Anderson Moon Fox Scott McKay Elliot. 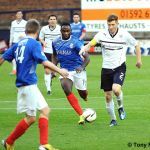 Cowdenbeath: Thomson Wedderburn Robertson Milne Higgins Gallagher Brett Oyenuga Miller Marshall Fraser.